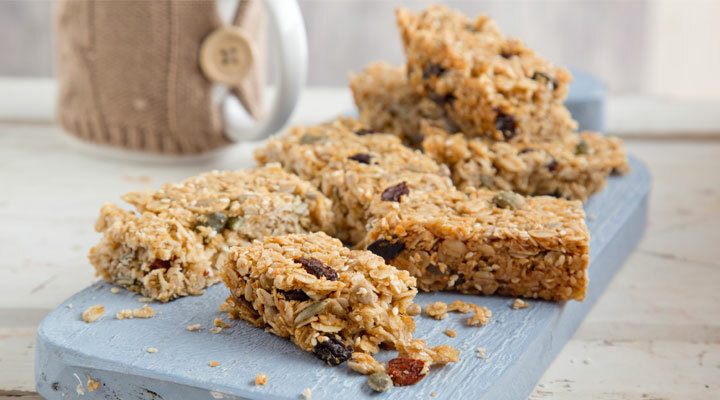 This a lovely recipe that will satisfy even the most avid flapjack fans! They are a great addition to a lunchbox and are perfect for a picnic. Preheat the oven to 140°C/gas mark 1. Line a square baking tin with non-stick baking paper. Melt the coconut oil in a small saucepan set over a medium heat, making sure it doesn’t boil. Put the oats in a large bowl, pour in the melted oil and stir to coat all the oats. Add the remaining ingredients and mix together well. Tip out onto the lined tin and spread out, making sure the flapjack mix is at least 2.5cm thick. Pat down firmly to compress it right down. Bake in the oven for 25 minutes. Allow to cool and harden, then cut into squares or bars.